MJMcGinn Electrical Ltd is a Liverpool based Electrical contractors working in Merseyside and surrounding areas. We pride ourselves on offering a high standard of work which take into account the customers specifications and a high level of understanding of our work. Install Additional Sockets, Replace Light Fittings, Supply and Fit LED Downlights,Connect Oven/Hob, Connect Shower,Install Shower Circuit,Change Fuse Board. Security Alarms. CCTV, Full Rewires, Electrical Testing and Inspection. Electrician testing efficiently and polite, reasonably price. Mark was prompt, clean and professional, explaining work and keeping us informed as he worked. Very happy and would recommend him highly. Mark was polite, helpful and clear regarding installing a new cooker and the rewiring to the cooker switch. We accepted the price and was very happy with the works carried out. Mark was very professional at all times, thank you so much. Excellent all round service. Arrived on time for viewing job and to carry out work. All clean and tidy when finished. Would certainly recommend. Worked efficiently, ensured safety at all times. 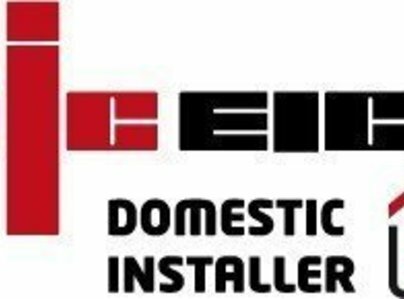 Repaired any damage to walls after fitting new fuse boxes sockets etc. Gave information and advice re using electrical equipment very professional and clean workmanship. Very good workmanship. Know how. Job is excellent. Very clean and tidy. Came when he said he would, told me exactly what he would do. Helpful and obliging. Polite and courteous. Smart, efficient, effective and friendly service. Found the problem, fixed the problem. Efficient, effective and friendly service. I'd recommend all day every day. I would definitely recommend Mark for any electrical work. Very professional and explains everything thoroughly. We like how he stays in touch and comes around whenever something needs checking. No problem ever feels too small. Would use again. Mark recently replaced a light fitting in my kitchen. He kept in touch by text and e-mail, arrived punctually and done a good job for a reasonable price. He was friendly and tidy. I would contact him again if I needed another electric job doing and I would recommend him to others.